Bonnie Plants worked with a 3rd Grade Teacher to develop lesson plans appropriate for students in 3rd Grade classrooms across the country. 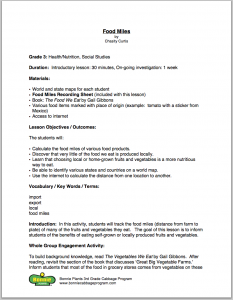 These lesson plans take into consideration the teaching requirements for 3rd Grade teachers in subjects such as Math, Science, Health/Nutrition, and Social Studies. We hope you find these plans helpful and enjoy sharing the lessons with your students. 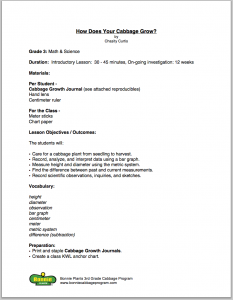 Each lesson plan includes instructions for teachers and sample worksheets for students. 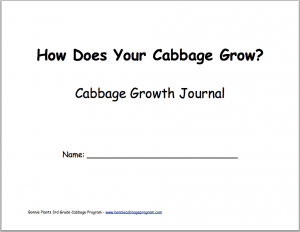 How Does Your Cabbage Grow? Students observe their growing cabbage and make predictions about future growth. Lessons include measurement using the metric system, analyzing and interpreting data, and plotting data to compare and contrast. Students develop an understanding of how food travels to their grocery and an appreciation for local and homegrown food. Students become familiar with the U.S. and world maps and also use the internet to calculate distance.